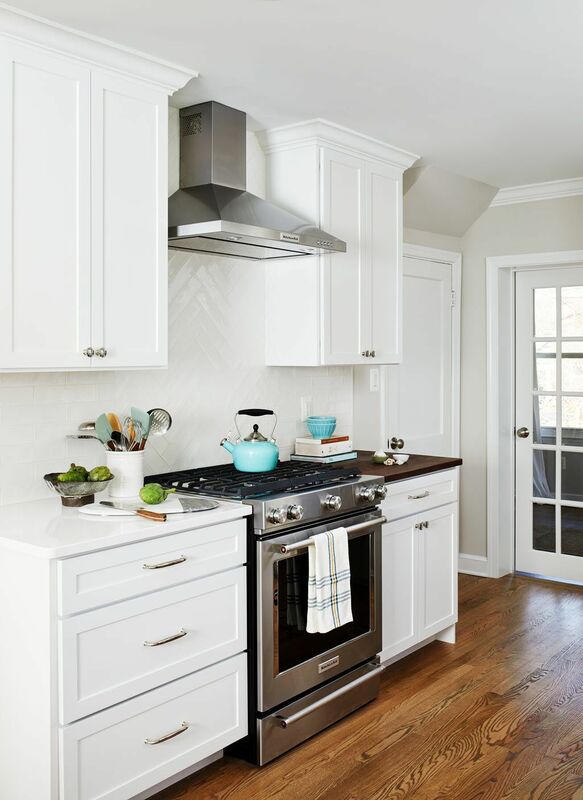 One small window, faux woodgrain cabinets and lots of doors made this closed-off Arlington kitchen feel dark and drab, the total opposite of the vibrant young family of four that lives here. 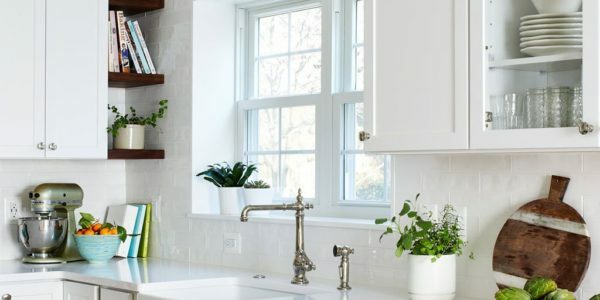 To brighten and open up the small kitchen, we removed the wall separating the dining room, expanded the window above the sink and installed a French door to let even more light in from an adjoining sun room. 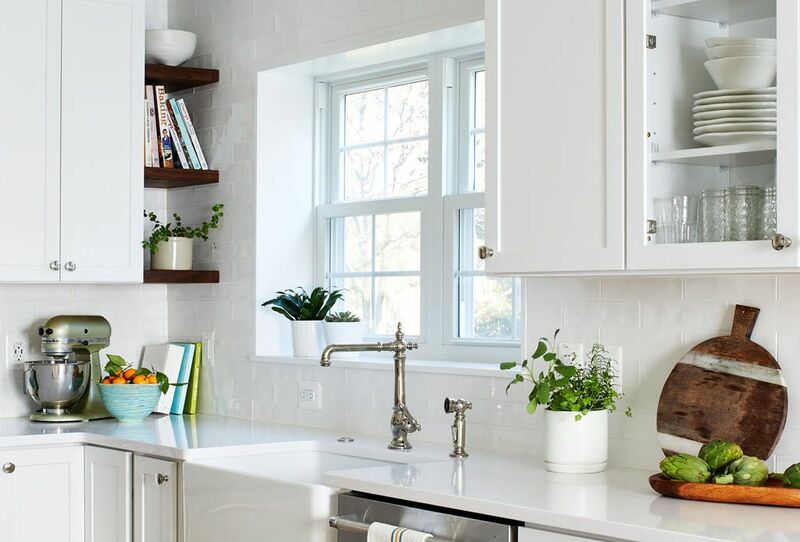 Light now pours into the kitchen, making it feel welcoming, airy and bright. 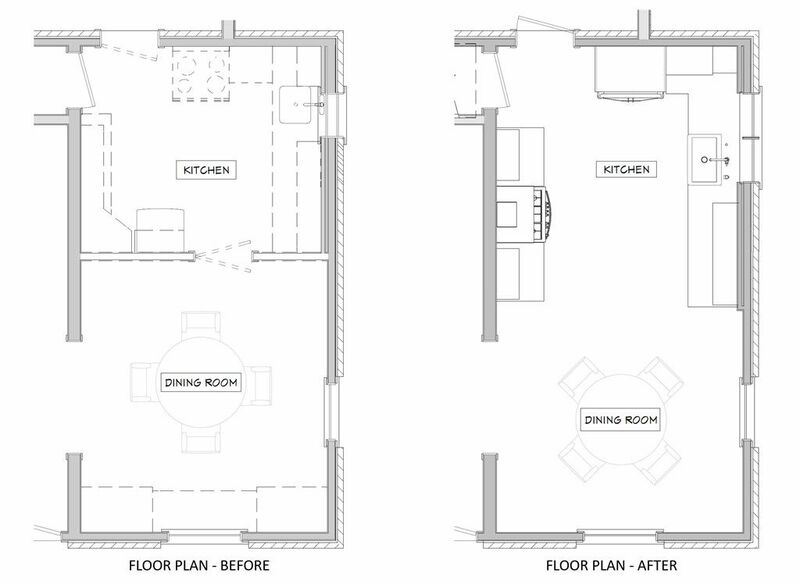 To accommodate the expanded kitchen, we removed a hulking set of built-ins from the dining room which provided two extra feet to work with. 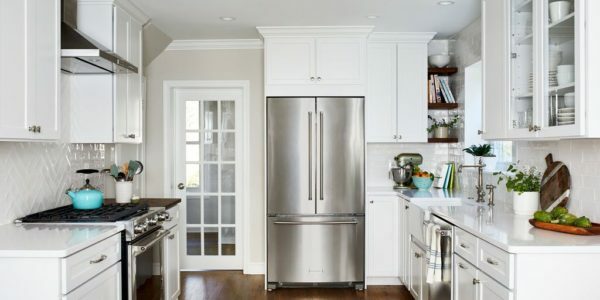 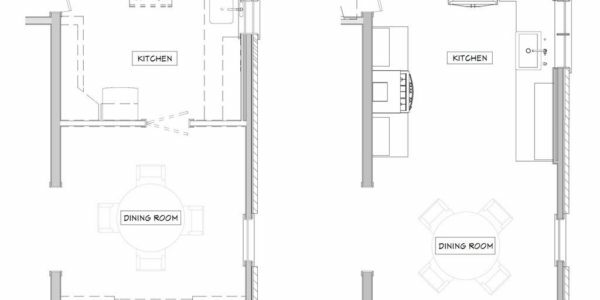 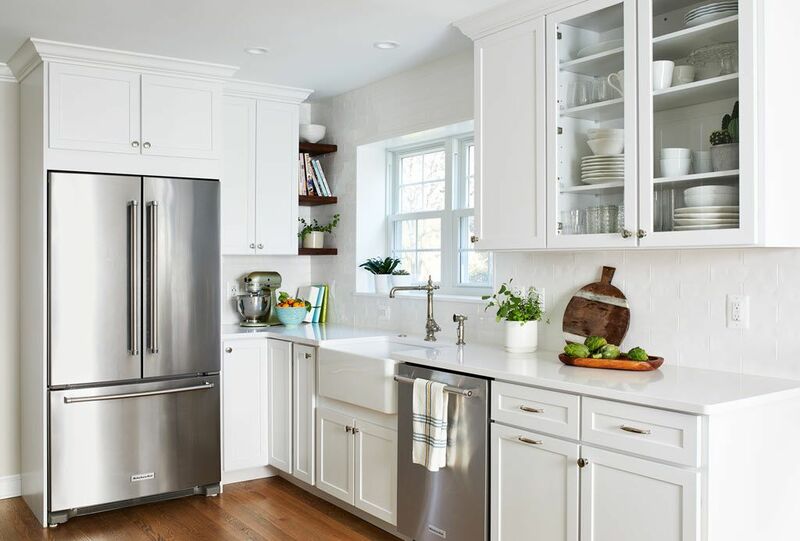 The larger footprint allowed us to relocate major appliances and provide a generous amount of storage and prep space including a food safe butcher block to the right of the range. 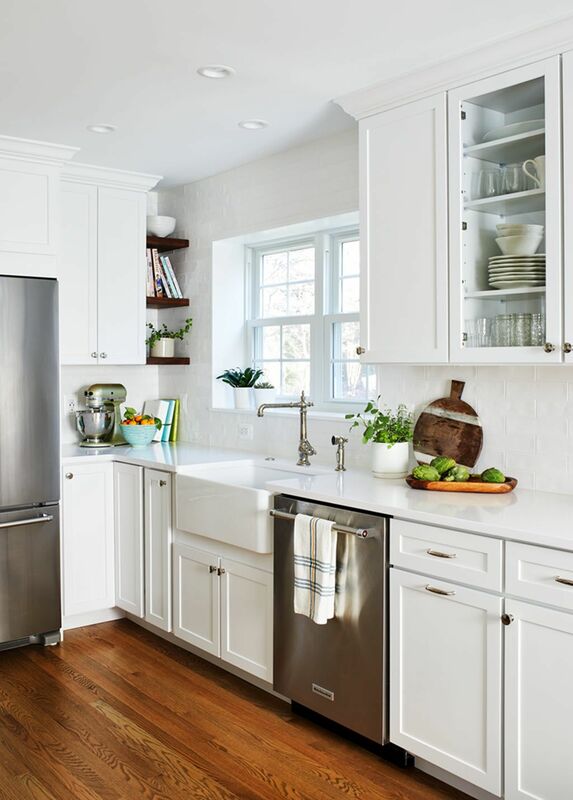 Natural wood elements such as the chopping block, reclaimed shelves and beautiful new floors add character and warmth to the all-white kitchen. 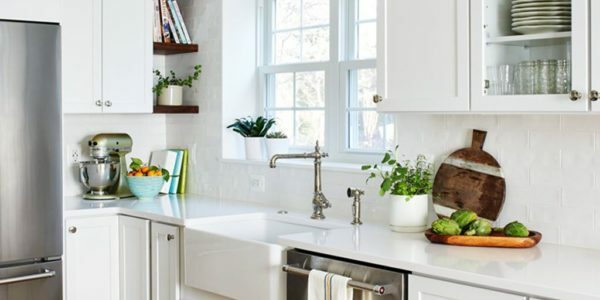 One of the must-haves in this renovation was a farmhouse sink which is a great way to maximize function when a smaller sink base is used. 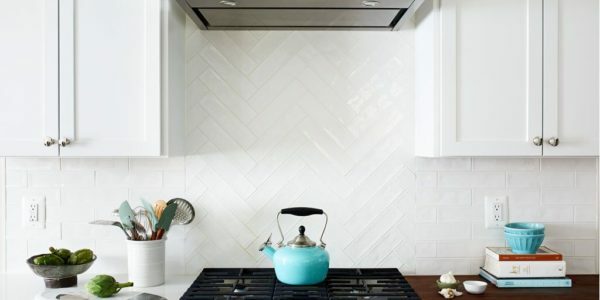 We opted to take the tile backsplash all the way to the ceiling along the window wall, creating a more polished look with the added bonus of making the ceiling feel taller. 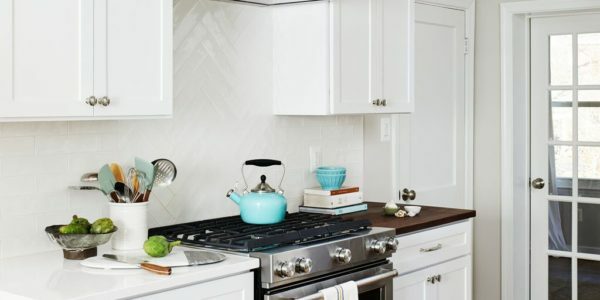 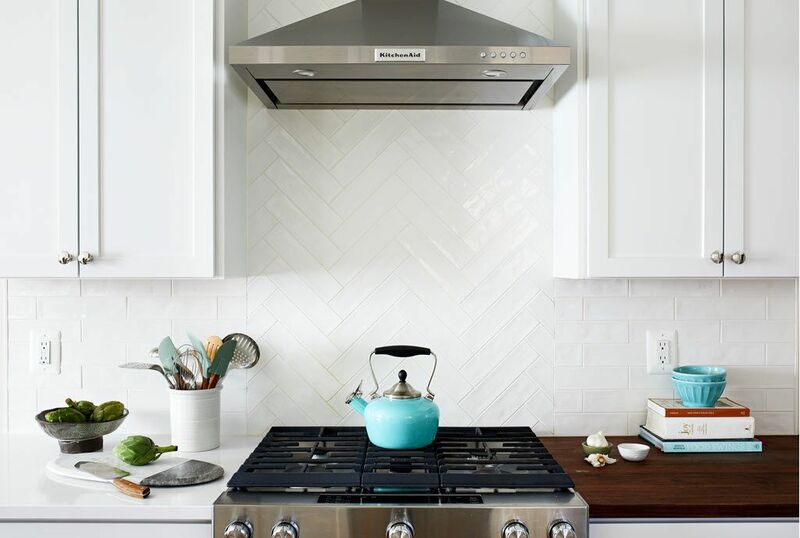 The subway tiles’ subtle texture adds depth to the simple white-on-white motif and the change to a herringbone pattern behind the range adds visual interest without feeling too busy. 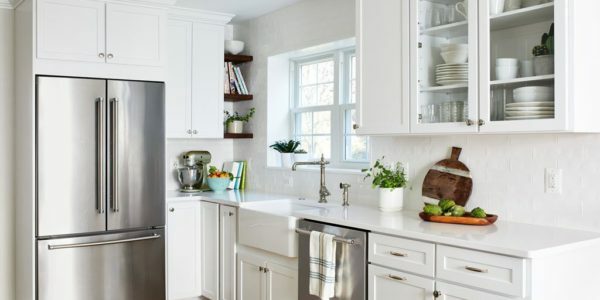 A crisp white backdrop is perfect for adding pops of color with dishware, accessories and the family’s vintage stand mixer. 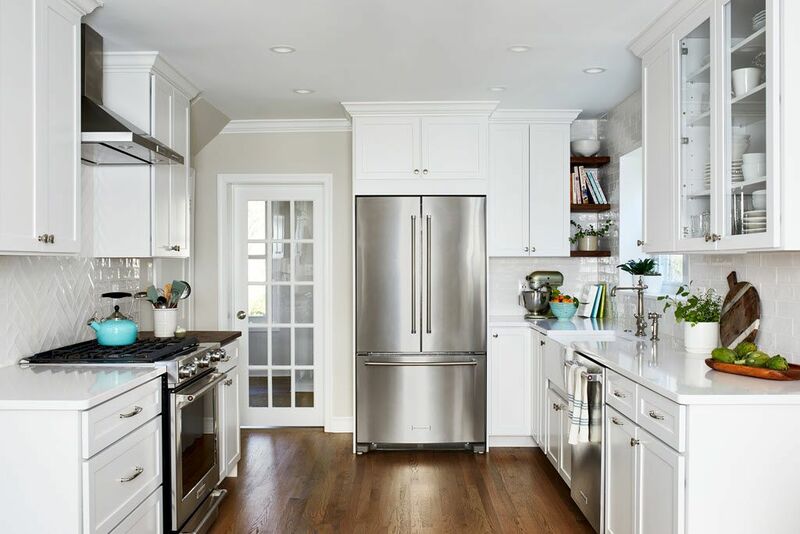 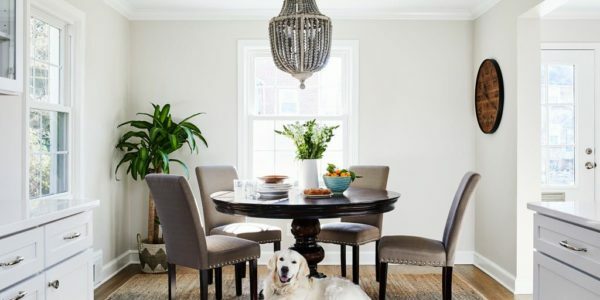 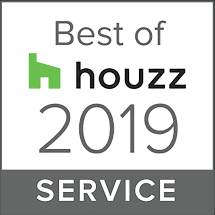 The newly renovated kitchen-dining area is much better suited for this family’s active lifestyle and the updated design now complements the rest of their stylish home.